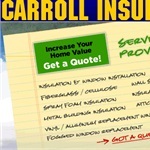 How much does a 2x4 wall insulation and installation cost in Shreveport, LA? Made with up to 85% recycled paper fiber. It is easy to install and can be applied over any existing insulation. Treated with flame retardant chemicals to provide highly effective fire resistance. It fills gaps and voids and creates a seamless thermal blanket that reduces air infiltration and provides superior sound control. A no-itch material.